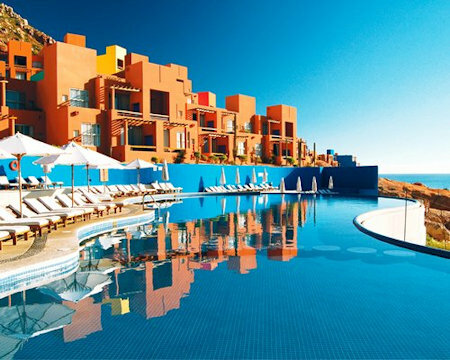 Enjoy a 7 Night Stay at Raintree's Club Regina Los Cabos in San Jose del Cabo, Mexico! 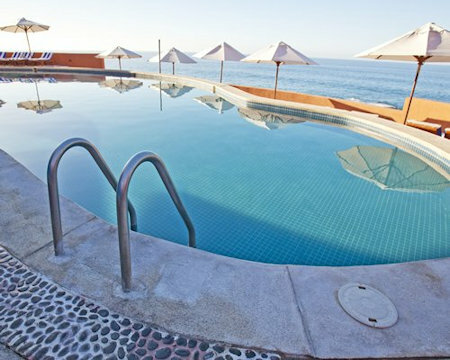 Club Regina Los Cabos rises above the shoreline where the Sea of Cortez meets the Pacific Ocean. 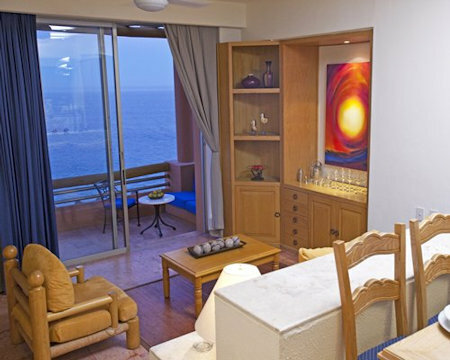 Every unit faces the ocean and you can enjoy colorful sunsets and sunrises from your terrace. From November through March, it is unusual not to see whales playing in front of the resort. The resort is a mecca for those seeking the best under the Baja sun – from championship golf courses to some of the best sports fishing in the world. 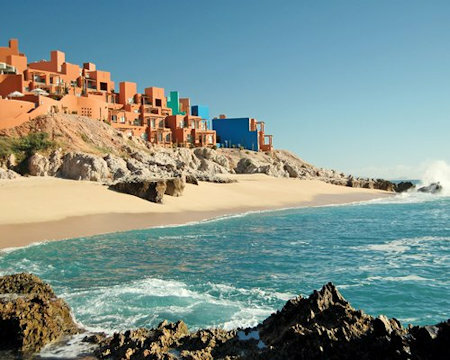 Los Cabos includes the cities of San Jose del Cabo and Cabo San Lucas. In the center of San Jose del Cabo, you can find art centers offering the works of both well-known and up-and-coming Mexican painters, sculptors and jewelry designers. 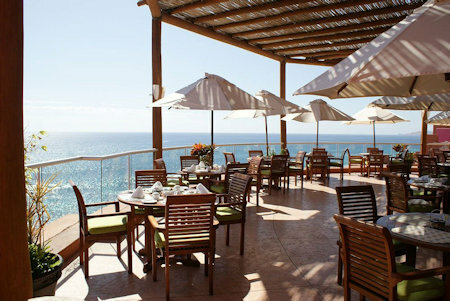 Cabo San Lucas offers a wide variety of international and local culinary experiences as well as an incredible nightlife. This is where great memories begin. Mini kitchens feature granite countertops while rooms feature maple dove-tail dresser drawers and a craftsman-style decor. 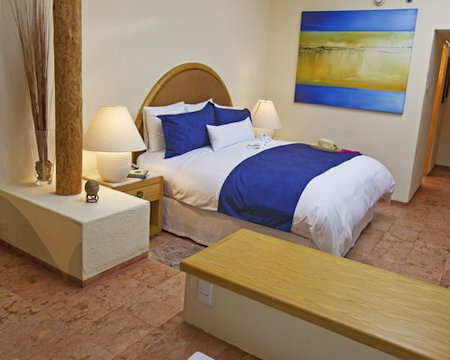 Rooms have the best view of the Sea of Cortez found anywhere on the Baja Peninsula. All rooms include flat-screen TV's, in-room safes, mini-bars, and jetted tubs. Your Studio Unit will sleep up to 2 people. Tennis court daytime use $10 USD per hour or lighted $15 USD per hour. There is a daily parking fee if bringing a car.